March 27, 2017- Los Tucanes de Tijuana, present in the state capital of Texas, crowding The Coliseum of Austin on Friday, March 24. Austin is located southwest of the U.S. It is the 4th most populated city of the Country and the largest of the State, being the 2nd largest state capital in the United States, where thousands of Hispanics live and attended the grand event of “Los Papas de Los Pollitos”, to enjoy the great show of light and sound that Los Tucanes de Tijuana gave. Continuing with their "Al Por Mayor" Tour, Los Tucanes de Tijuana arrived to Houston on Sunday 26th, performing at the Monumental Plaza Garibaldi, to satisfy all the requests of their fans who were waiting for them as usual, in a fully Cowboy setting, where they could sing and dance without any concern of all the diners. Houston is also one of the most populated cities in the state, and is the 5th most populated of the country. Houston has the largest concentration of research and health institutions in the world, and it is considered a global city with a broad industry in energy, manufacturing, aeronautics, transportation, health, petroleum equipment and it also has NASA’s Lyndon B. Johnson Space Center. We thank all our fans for continuing to support our career and all the entrepreneurs who make it possible to carry out these events, in order to continue taking our music and make them spend a good time full of joy. March 22nd, 2017- The BMI Latin Awards 2017 celebrated the Twenty-fourth Annual BMI on March 21st at the prestigious Beverly Wilshire Hotel in Beverly Hills, CA. Mario Quintero Lara, the first voice and director of Los Tucanes de Tijuana, received two awards for the most played songs on the U.S Radio, "Suena La Banda" and "Panchito El F1" thus remaining the leader with 33 + 1 Awards as Composer of the year, in The BMI Latin Awards 2017 of the most awarded Latin composers. J Balvin, Horacio Palencia, Motiff, Alfredo Olivas, and honoring the legendary Mexican-American group Los Lobos, creators of the hit La Bamba, receiving the Icon Award of The BMI Latin Awards. And that is how Mario Quintero will celebrate, on April 13, his 30 years of artistic career with 2 more prizes, with his comrades Los Tucanes de Tijuana. MQ commented that it has been a great challenge for Los Tucanes to remain one of the most popular groups and to remain in force, and thanked God for their talents and for keeping them together to continue creating music. On Friday, March 17 at The Rave / Eagles Club in Milwaukee, WI with a crowd of Latin American countrymen who welcomed them with great enthusiasm singing in unison all The Tucanes’s successes in Tijuana, and despite the cold, and the intense snow that was on the weekend, It wasn’t an obstacle for our fans to stop attending our concerts. On Saturday, May 18 at El Volcán in Chicago, IL and on Sunday the 19th at the Sears Center Arena in Hoffman Estates, IL. And that's how we celebrated the beginning of spring, bringing our music to all the States of the American Union, to sing our songs and to cheer all our Mexican and Latin American countrymen to make them sing and dance with our unmistakable music. Los Tucanes de Tijuana on their 2017 Tour visiting the State of California were present on Friday, February 3 at the Visalia Convention Center, accompanied by a great cast, Los Papas de Los Pollitos delighted the audience, celebrating the first Valentine’s Day dance, where romantic songs like "Mundo de Amor", "Amor Platónico", "Secuestro de Amor", "365 Dias" and many more successes have been left in the history of "The group that changed the course of The northern music in the world ". And continuing with their performances on Saturday 4 at El Fox Theater in Salinas, with a great welcome from their fans singing and dancing to the rhythm of El Tucanazo. And on Sunday, February 5, we enjoyed watching the Super Bowl LI on the Fox Sports TV network, where Mario Quintero participated in the opening video announcing the start of the game and reminding all Hispanics of how important is the sport and that Hispanics have had it on their blood for many years. Mario Quintero and Los Tucanes de Tijuana continue to make history and break barriers with the participation on the promotional video of the opening of the Super Bowl LI. January 30, 2017 - FOX Deportes today announced that Mario Quintero Lara, lead singer of the renowned Mexican group Los Tucanes de Tijuana, will be the face of its Super Bowl LI open. FOX Deportes, the network that made NFL history by airing Super Bowl XLVIII, the first-ever Super Bowl in Spanish in the U.S., is poised to deliver unprecedented coverage as the exclusive Spanish-language television home for Super Bowl LI on Sunday, Feb. 5. The network set the record for highest-rated non-soccer event with its presentation of Super Bowl XLVIII and continues to make history in 2017, airing the first-ever Spanish-language NFL Honors telecast. Mario Quintero and FOX Deportes join forces for the first time to collaborate on this special project. The video was shot at the Los Tucanes de Tijuana studios and showcases the passion Hispanics feel for sports. 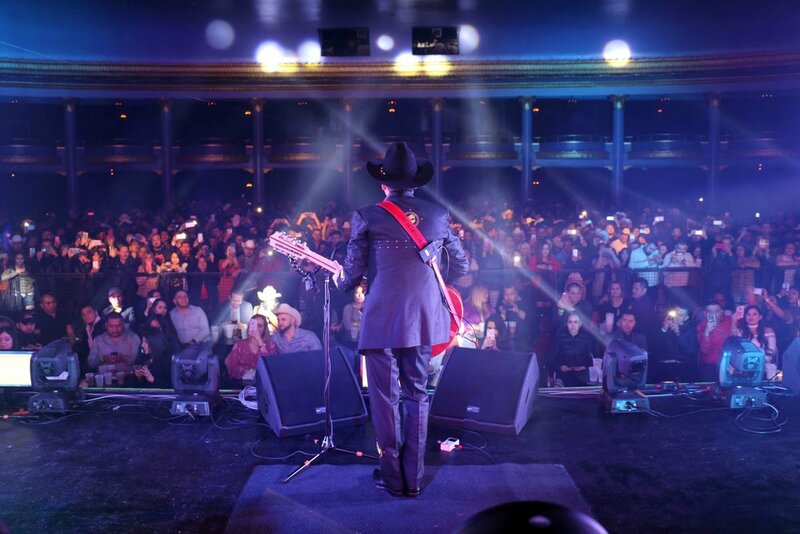 Los Tucanes de Tijuana, the northern Mexican group led by Quintero, has a career spanning 29 years, being positioned in the first places of Mexican regional music in both the Mexican and American markets. They have more than 14 million "albums sold in the world during their artistic career and they are a band that, in the history of contemporary music, has been able to place up to 6 titles in the first spots of a single Billboard TOP LATIN ALBUMS list”, on top of being winners of a Latin Grammy ("Biography Los Tucanes de Tijuana" Telepaisa). Launched in 1996, FOX Deportes, a division of FOX Sports, is the first and longest-running Spanish-language sports network in the United States. Now reaching more than 22 million cable and satellite households, more than 6.3 million of which are Hispanic, FOX Deportes has been the nation’s leading supplier of Spanish-language sports programming for almost 20 years. FOX Deportes features a diversified portfolio of properties, and boasts more than 2,100 hours of exclusive, live programming including NFL pre and post-season games, MLB regular-season, All-Star Game, Divisional Series, American League Championship Series and World Series, UFC®, the USGA’s U.S. Open, NASCAR, Premier Boxing Champions, college football and premier soccer programming including MLS, Bundesliga, and extensive UEFA Champions League matches. Original programs include LA ULTIMA PALABRA, CENTRAL FOX and FOX DEPORTES EN VIVO. FOX Deportes Digital reaches 17 million visitors monthly and provides a robust digital experience brimming with engaging editorial, live scoring and exclusive video highlights on FOXDeportes.com.